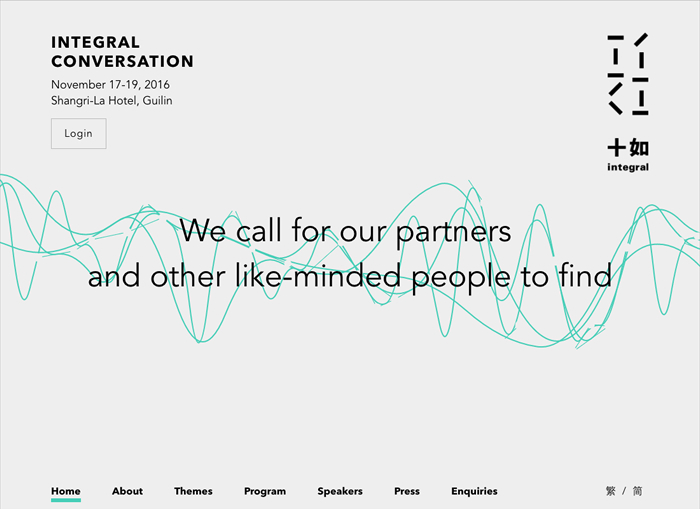 We have created a website for Integral Conversation 2016. It is a forum organized by Esquel group, that brings experts from different industries together for a discussion on sustainable development. 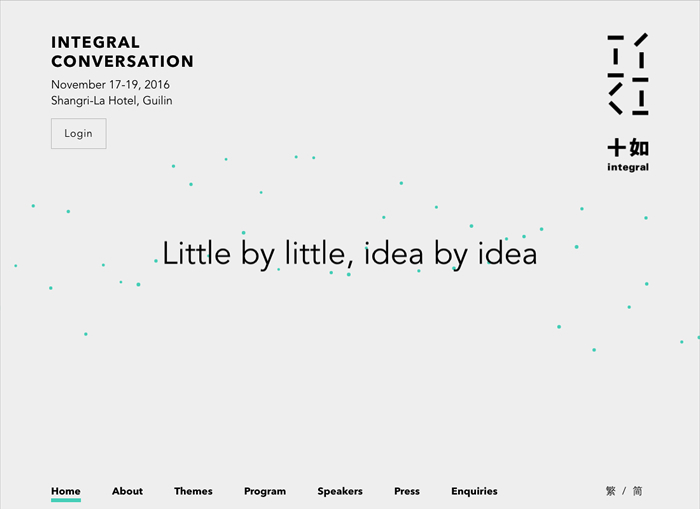 The website features an animation built with HTML5 Canvas, showing separate dots that connect into lines, transforming into a globe in the end. 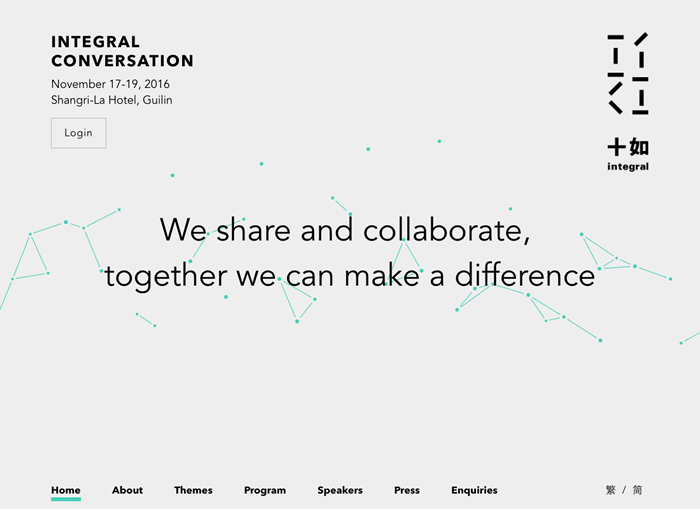 It represents this year’s conference theme: individual countries coming together, making an collaborative effort to improve the world.